Today’s post is our second visit to a book recommended by a reader – Selecting Shares That Perform, by Richard Kock and Leo Gough. In our first visit to the book, we looked at ways to match your personality to the Ten Ways that the book discusses. Part Two of the book begins by discussing how the Ten Ways were selected. 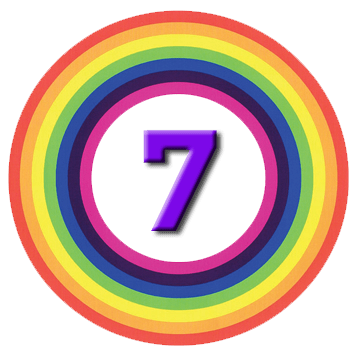 Ways 1 to 7 can be used for your whole portfolio, but Ways 8 to 10 should only be used for part of your portfolio. The remainder could be managed using one of the other Ways, or via index tracking. The next chapter starts by asking whether trying to beat the market is a fool’s errand. Passive investors tend to invoke the “10,000 monkeys typing” defence for this one, but I find that hard to swallow. This is one of those areas in investing where you’ll just have to make up your own mind. So the first of the Ways is to follow those investors who consistently outperform. This is one of the “Smart Money” approaches to investment. Similar options include following Director Dealings and the largest holdings of star fund managers. The authors do in fact recommend following Director Dealings as well. Some investors – like Buffett – will have fairly stable portfolios that are largely public. Such rainmakers are relatively easy to track and will produce low trading costs. Others are more secretive and active. Newsletters and website may be of some help. One such site is Dataroma, which we’ll look at in more detail in a future post. Other sites turn the investing styles of these heroes into stock screens. Both MeetInvest and Stockopedia provide guru screens. Some rainmakers (Terry Smith and Neil Woodford here in the UK, for example) operate their own funds and you can simply invest in these. Others (like John Lee for example) publish regular columns about their portfolios. This is a relatively low-risk approach that doesn’t require special skills or enormous amounts of time. But to me it’s not much of an advance on trying to pick star fund managers in advance. I would prefer to try to understand the principles behind the selections from the rainmakers, and to apply these for myself. So I’d probably be more interested in guru screens than a list of guru holdings. That said, it’s a perfectly decent way to invest if it suits your personality and you can make it work. It’s the kind of approach I might adopt when trying out a new form of investing (for example, when I first started buying AIM stocks a couple of years ago). So the challenges is not so much to pick the stars (and avoid the dogs) in advance, as to learn to separate the sheep from the goats. The idea is that within a sector, the same companies are likely to outperform year after year. The good companies stay good, and the bad companies remain bad. The authors’ thesis is that three-quarters of attempts to “transform” relatively mature companies will fail. This could be because of the competitive structure within their industry that they are locked into. Once a competitor has a real edge, it can be difficult to overturn. Or it could be because of the bad company’s internal culture. Bad companies find it hard to attract good staff, or to improve efficiency. Way 6 looks at how to find good businesses (in the Buffet sense) while Way 2 is about backing winners. This is pretty much Cut Your Losses, and Let Your Winners Run. They also explicitly restate that you should Never Average Down. They also suggest that three to five years might be enough. The final rule is that takeovers don’t work – if one of your stocks is taken over, you must sell the shares you are given in return. Presumably the same applies if your stock takes over a similarly-sized company (ie. not a “bolt-on” acquisition), but this rule is not made explicit. They look at the entire period as a whole, rather than checking to make sure that there hasn’t been a recent price decline. I prefer to use a blended momentum number using perhaps 10%, 25% and 1005 of the period under analysis. With a one-year lookback, this translates to the 20-day, 50-day and 200-day numbers. As with everything else, you’ll need to find a number that you are comfortable with. Use sale proceeds and new money to top-up the portfolio back to 10 stocks, using the same process of selection as at the start, but with current data. If the index falls by 10% from your starting level, or by 15% from a peak, then sell everything. When the index rises by 10% from it’s recent low, buy back the same number of shares that you sold. This rule is designed to protect you during market crashes, but I have my doubts (see below). I like this method because it has clear buying and selling rules, and it’s based on the proven edge of momentum. It also includes a rule for sweeping up new and spare cash, the lack of which was something that worried me on the first presentation of the system. That said, I think the rules are overly complicated, and it’s also the first time I’ve heard of momentum longer than one year being used. I’ve run several momentum portfolios myself, and I’ve usually worked with three-month to one-year momentum. I’m also not convinced by the crash protection rule. Once the market is 15% down, you’ve lost around half of the average correction / crash. Waiting for a 10% rise means that half of the time you’re buying back in just below the old peak, and half the time you’re buying back just below where you sold. I think the process involves quite a lot of work and trading commissions. I would be tempted to semi-hedge using a spread bet short on the index instead. I will probably tweak it to include a spread of stocks from across the FTSE sectors. The authors point out that most successful investors specialise. I think it’s a bit more complicated that that. A lot of famous billionaire stock investors and self-made men have specialised. But a lot of other traders have been active in dozens of markets simultaneously, and have evolved their trading systems to change with the times. I’m not trying to be a billionaire, and I don’t believe that there is a single approach to investing that works under all conditions. So I like to hedge my bets by using multiple approaches, each of which should out-perform under certain circumstances. Back to the book: the authors say that everyone is an expert in something, or has the capacity to be. It helps if your industry has a lot of “pure plays” and has not been swallowed up by conglomerates. The book provides a fair amount of detail on how to approach specialising in each of these areas. 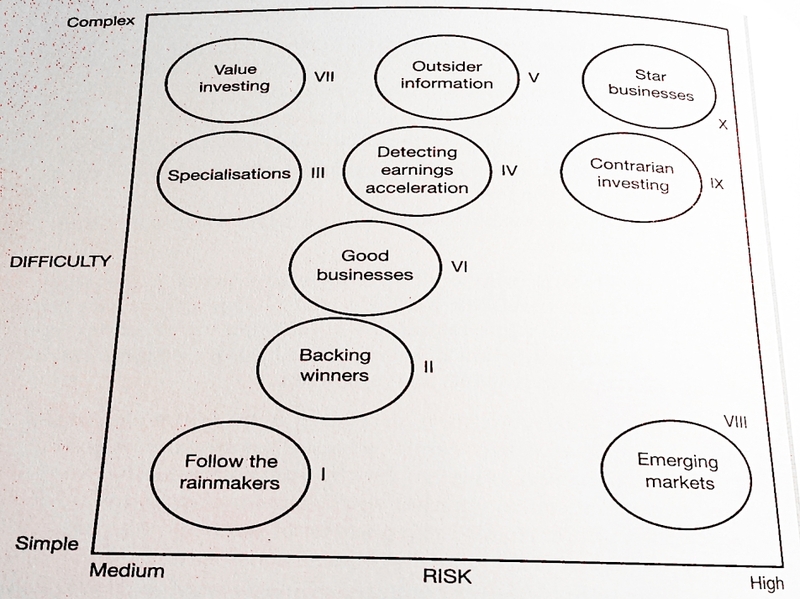 I find it hard to take “specialisation” seriously as an investment system to be learned from a book. If you are the kind of person who is going to specialise, you’ll probably know it before you start reading investment books. Looking at it more practically, it’s not really a system because there are no rules. Your goal is to become better than other investors at understanding and predicting your area of focus. This is a what, not a how, and not much use to the casual reader. And these other investors will include some fund managers and analysts with an interest in the same area – so you must be confident in your ability to shine. This is not an approach that I could recommend to the average investor. If you are one of the chosen few, you will probably know this already. Even then, I recommend that you follow the advice of the authors and paper trade until you are consistently outperforming. We’re now half-way through our journey, and it looks as though we’ll be done in another two articles. It’s been good to get stuck into the meat of the book, but only one of the three Ways (Way Two – Winners) look promising enough for me to want to try it. I do plan to return to the “Smart Money” style at a later date, and so Way One (Rainmakers) will probably be incorporated into any approach that emerges from that analysis. I don’t think that Way Three (Specialisation) is for me – I get bored too easily – but perhaps it’s for you. I’ll be back in a few weeks with another three or four Ways to win.